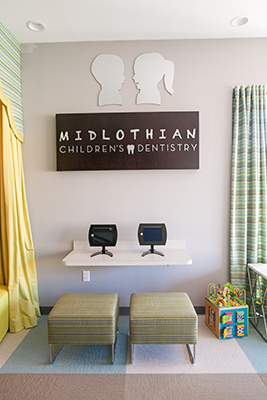 At Midlothian Children’s Dentistry, we enjoy all aspects of dentistry. 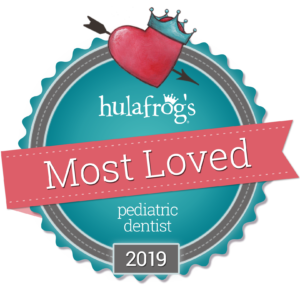 Working with you to help achieve your child’s dental goals is imperative to us. We provide a welcoming and friendly environment where children can feel safe and confident. Our priority starts with treating your family compassionately. 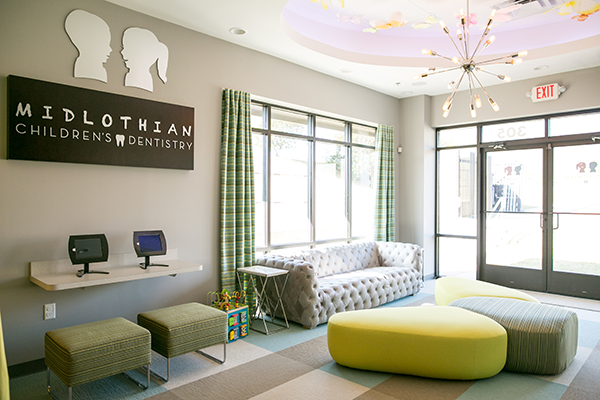 We will ensure you and your child feel at home while designing a personalized plan to keep you child’s teeth and gums happy and healthy. 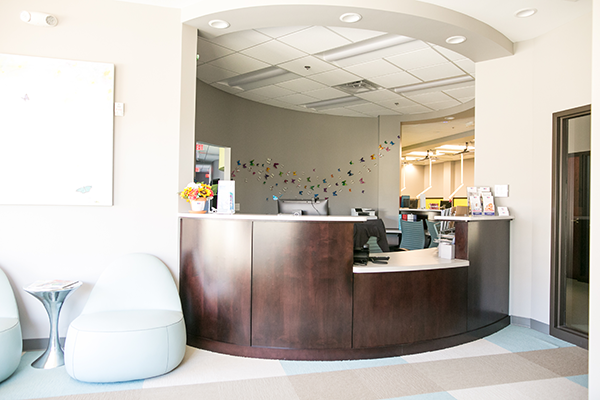 Your child’s first visit to our office is designed to be a positive, anxiety-free experience. We have a “No Restraint” policy. If your child needs comforting, parents or our team may hold his or her hand while in the chair. 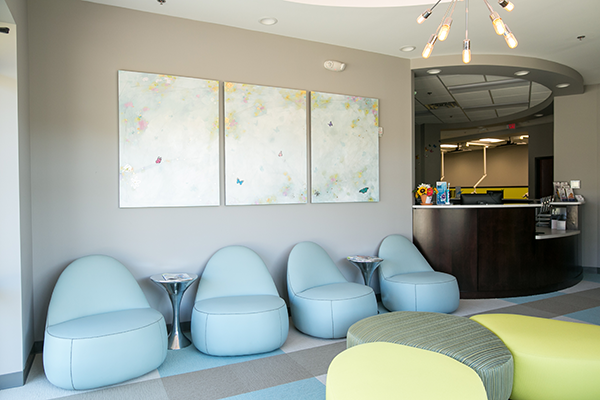 Parents are welcome to accompany their child into the treatment areas. We encourage you to ask questions or express any concerns during your child’s visit. 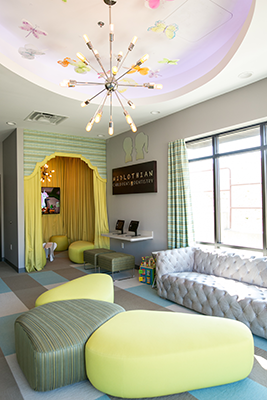 We invite children of all ages near the Westchester community to visit our office. 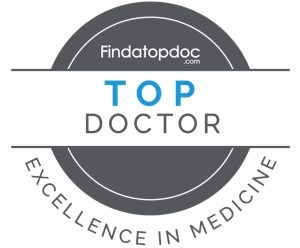 We offer caring, attentive and gentle care. 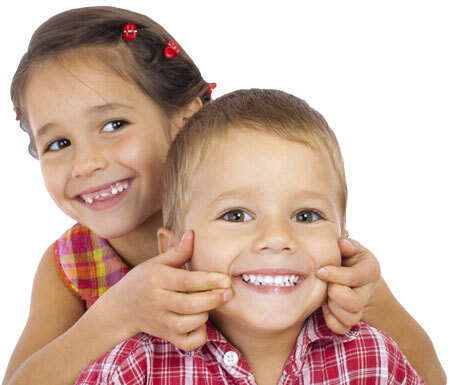 We cater to all your child’s dental needs, both psychological and physical. 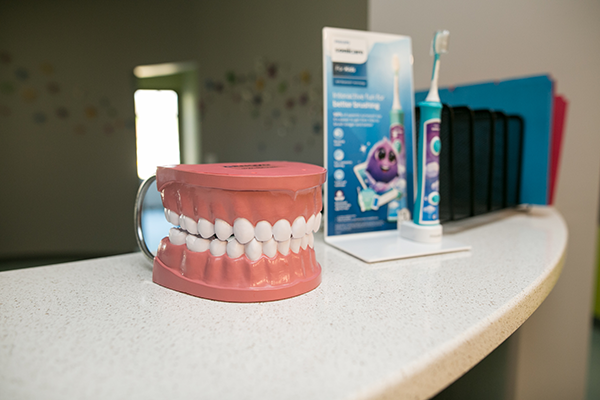 Your child’s optimal oral health is our main concern. 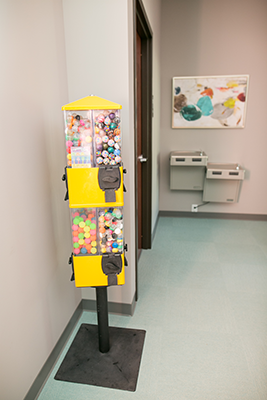 Our office is compliant in all federal and state OSHA, HIPAA and CDC requirements. 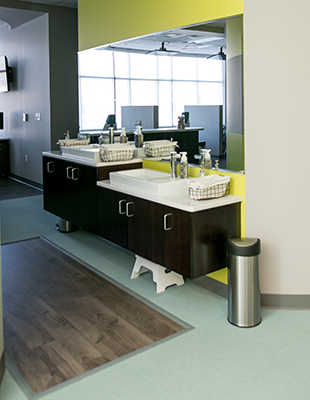 Infection control is very important to us and that is why we have made it our top priority. 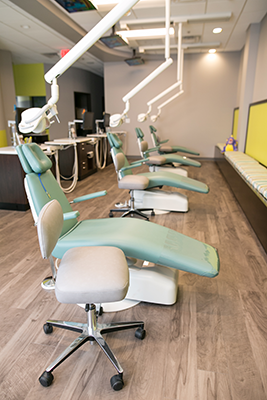 Our dedication to offering the most comfortable experiences for you and your family is our top priority. 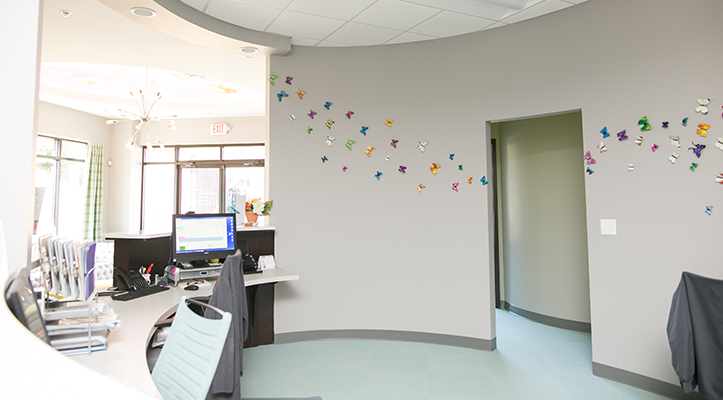 Our office is beautifully designed to help create a warm and stress-free environment where you can feel relaxed and at ease knowing you’re in good hands. 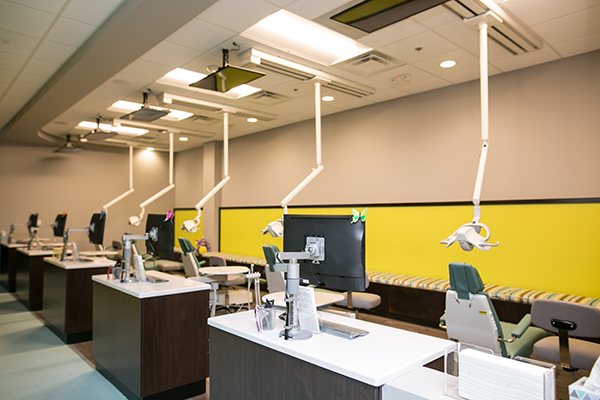 Our waiting room includes many family-friendly features, such as a children’s home theater, a beverage station, and iPad/tablet stations for kids. 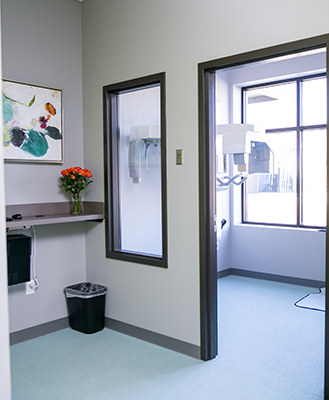 Our private consultation and treatment rooms include TV screens for entertainment and educational use.